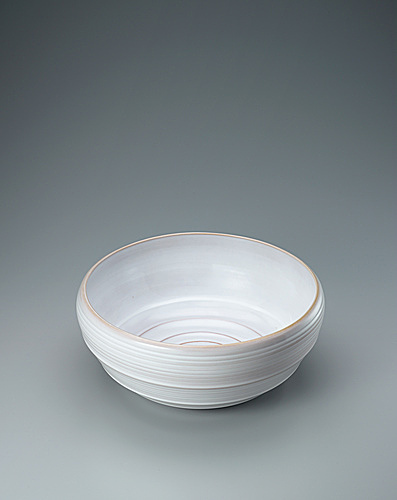 OKADA uses a noborigama (multi-chambered climbing kiln) and mainly produces traditional Hagi ware works. 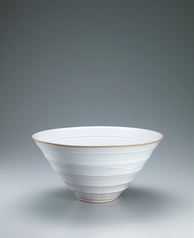 Hagi flower vessel with white glaze. 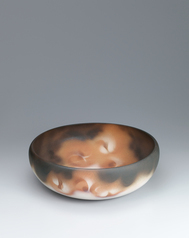 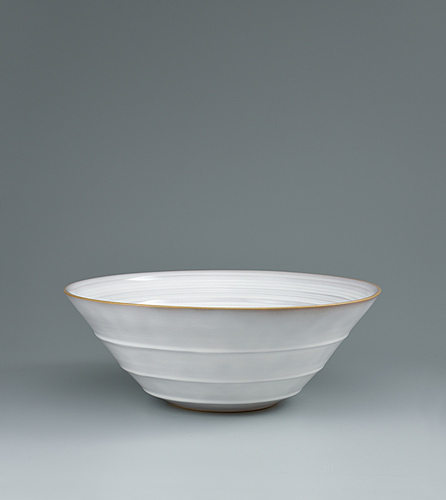 Hagi bowl with white glaze. 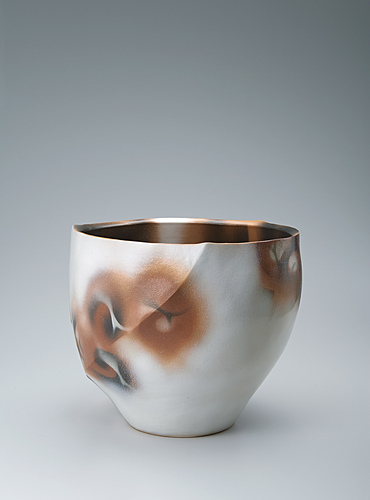 Flower vessel with flame mark decoration.